Lipovox Review - Does Lipovox Really Work? Ever wonder what the difference is between Lipovox and Leptovox is? I'm sure there are many readers who has read about Lipovox and Leptovox, and ended up scratching their heads wondering, "what's the difference between Lipovox and Leptovox?". Their names are similar, their sales pitch is similar, and even the products are basically identical. It's no wonder so many people get these two confused. The Leptovox "Story" - in this "story", it's not a student, but an "Inventor" as they called it. While watching an episode of Oprah talking about the 10 super foods, the "Leptovox inventor" got "intrigued", took the challenge, and ate the 10 super foods for 10 days. (Where have I heard this before? Oh right... from Lipovox above!) The results of the 10 days were shocking. Let's see, her acne disappeared, lost 10 pounds in 10 days, and had better skin complexion. Lipovox does not disclose what the ingredient makeup is in their product, other than stating that it's based on the 10 super foods. Certainly, they cannot have competitors "copying" their proprietary formula. Oh wait, isn't Leptovox basically the same thing? Without the ingredient makeup to evaluate Lipovox, we'll need to look at the 10 super foods, which is the basis of Lipovox. If you've used Lipovox, please share your review here. Barley - is a type of whole grain that has been cultivated for thousands of years. It is a low glycemic grain, and contains high levels of dietary fiber. Barley has been shown to help lower LDL cholesterol (the bad type), help metabolize fats, and promote a healthy digestive tract. The high fiber in barley has been shown to reduce the risk of colon cancer, and it is also a good source of Vitamin B (Niacin). Read more about Acai here. Cayenne Pepper - is spicy and adds flavors to your dishes. Aside from its fiery taste, it also comes with a long list of health benefits. Cayenne pepper is high in capsaicin, which is known for its many benefits including pain relief, weight loss, fights cancer, prevent ulcers, drain congested nasal passages, among other benefits. Cayenne peppers help fight inflammation, and provides natural pain relief. They have also been shown to reduce cholesterol levels, and helps to boost the immune system. Buckwheat - compared to rice, wheat, and corn, buckwheat provides more protein, has a low glycemic index, and is high in essential amino acids lysine and arginine. Buckwheat also contains no gluten. It is high in protein, and contains the essential amino acids. 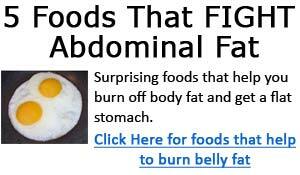 It is also a good source of alpha linolenic acid (an essential fatty acid). Like many other of the 9 super foods, Buckwheat is high in fiber. It has also been found to help lower blood pressure and reduce cholesterol levels. Flaxseed - Flax seed is 1/3 oil, and the rest of it is made up of fiber, protein, and mucilage. Flax seed oil is a rich source of essential fatty acids - it contains alpha linolenic acid, omega 3 essential fatty acid, and omega 6 essential fatty acid, and flax seed oil contains these 3 EFA's in just the right proportions. Flax seeds are also a great source of lignans, vitamins, and minerals.Flax seeds contain 12% mucilage, which makes it a gentle, natural laxative. Flax seeds are perfect for individuals who has a sensitive stomach. Read more about Flax seed here. Alfalfa sprout - are young shoots of alfalfa plant. Because they are nutrition rich, alfalfa sprouts are eaten as a health food. They are high in vitamins, antioxidants, and enzymes. Lactobacillus Acidophilus - is a probiotic, or "friendly" bacteria. Foods such as yogurt contain bacteria beneficial to our health. These friendly bacteria help the body fight against diseases by competing with the pathogens for food and nutrients. Soy Isoflavines - there are many health benefits of consuming soy products, such as protection against various cancers, ease menopause symptoms in women, protect against prostate problems in men, improve bone health, and reduce the risk of heart disease. Garlic - has positive effects on blood pressure, lowers blood fats, and also lowers cholesterol. Garlic even helps to prevent cancer. One German study had shown that garlic reduced cholesterol levels by 20 percent in all the test subjects. One of garlic's most potent benefit is its ability to boost the immune system. Lipovox Results - Does it Really Work? Healthier skin, acne fighter, and weight loss all in one bottle - what more can you ask for? But wait, none of these claims are even substantiated by scientific evidence! While there are plenty of Lipovox user reviews floating around the web speaking well of the diet pill, these are still just anecdotal evidence; however, anecdotal evidence does make a case for the effectiveness of Lipovox. The supplement itself is inexpensive - one bottle (lasting 30 days) costs $30, and volume discounts prices 8 bottles at just $22.50 per bottle. See below to learn the true method of long term, healthy weight loss that will lead to permanent weight loss results.